Looking for Tucson events going on this year? Check out these top 5 Tucson events you won’t want to miss! 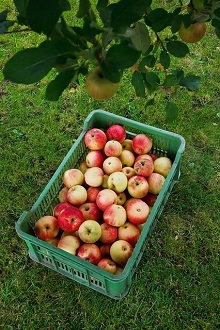 Apple Annie’s is a family owned orchard that has specialized in apple trees since the early 1980s. In 1986, they started offering customers the opportunity to pick the fruit themselves. Labor Day Weekend is the peak of the apple-picking season and as a guest at the orchard, you will have the opportunity to celebrate it by picking your own apples. There will be wagon rides to the orchards and fresh apple pies baked each day. Along with your apple picking, you will also be able to enjoy a pancake breakfast along with apple-smoked burgers for lunch. This event is the perfect opportunity for a family to enjoy a wholesome day of fun on the farm. This yearly competition is now in its 8th year and is sponsored by the Southern Arizona Arts & Cultural Alliance. The competition will be held on Saturday, October 19 at the Plaza Colonial Courtyard. You will have an opportunity to taste margaritas made by various local chefs as they battle for the championship. As a guest, you will also have the opportunity to sample foods from Tucson’s restaurants along with tequilas and margaritas. There will be live judging and a people’s choice award. This is one of the grown-ups-only Tucson events and is perfect for learning more about Tucson’s food and restaurant scene. 1991 was the year that the first Bisbee 1000 was held and it drew 200 participants just on word of mouth alone. It has grown each year so that now the race has to be limited to 2,000 individuals. The Bisbee 1000 is held on Bisbee’s old stairways that offer views of the town’s houses and gardens. The stairways were originally mule paths carved back when Bisbee was a copper-mining town. Participants love the views and the fact that many of those in the race dress in costumes. You can try to compete to win, or you can simply stroll through the course. The Bisbee 1000 is more than just a race, it is a combination of a costume party, a tour of the town’s gardens along with a celebration of its community spirit. The 2014 Bisbee 1000 will be held on October 18th. The Tucson Symphony Orchestra dates back to 1929 with its first concert in the Tucson High School Auditorium. It is now a fully professional orchestra instead of a volunteer one and over the last 20 years, it provided children’s and community concerts throughout southern Arizona. Opening weekend for 2014 will be from Friday, September 26 to the following Sunday. The conductor will be George Hanson in his final season with the orchestra. The concert is titled Bernstein, Copland, Gershwin: American Essentials-Classic 1. This is one of the essential Tucson events for those who are interested in classical music; it is also a good way to learn more about Tucson’s classical music scene. One of the more longstanding Tucson events, the 2014 Cochise County Fair will be the 90th that the Fair Association has put on. Each annual fair is held at the Cochise County Fairgrounds. Along with a variety of agricultural and educational exhibits, you will be able to enjoy a live rodeo, fair foods and carnival rides. The Clay Mac Band as well as the Take Cover Band will provide live music. If you want to find out about life in rural Arizona and enjoy the county fair atmosphere, take a trip out to the fairgrounds on the weekend of September 26-29.